Perfect for everyday wear, this longer length boxer brief prevents riding up, so wearing all day and all night won’t be an issue. Featuring anatomical pouch technology, you will have natural positioning rather than an uncomfortable fit which reduces heat build-up and a squashed feeling. 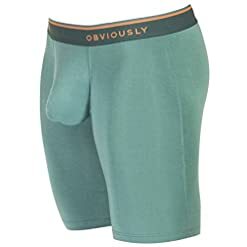 The Teal EveryMan AnatoMAX Boxer Brief 9inch Leg by Obviously is a very popular item which is sure meet your shopping requirements. 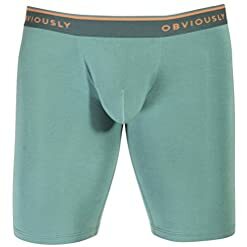 Highly recommended Obviously underwear make great gifts. 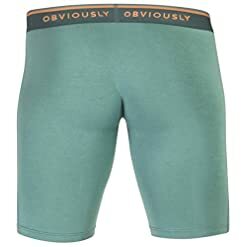 Buy the Teal EveryMan AnatoMAX Boxer Brief 9inch Leg by Obviously now.